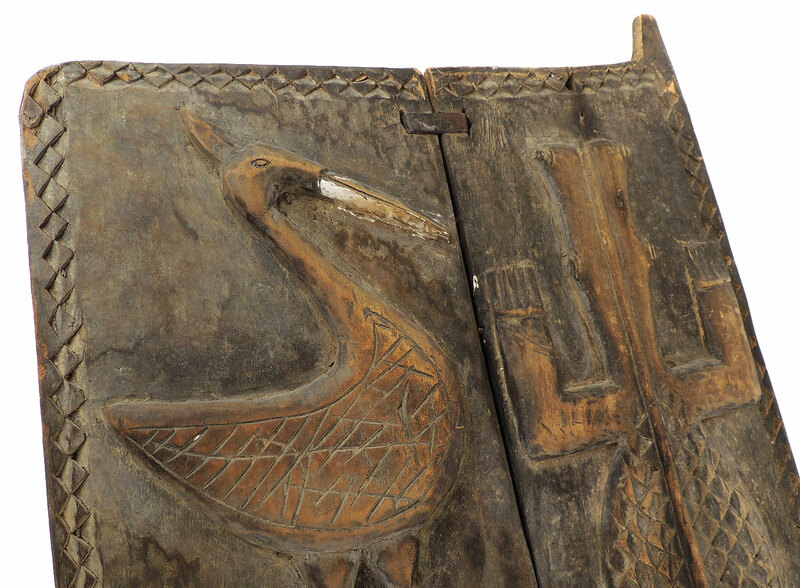 Additional Information: This stunning door has a number of figures carved in relief. 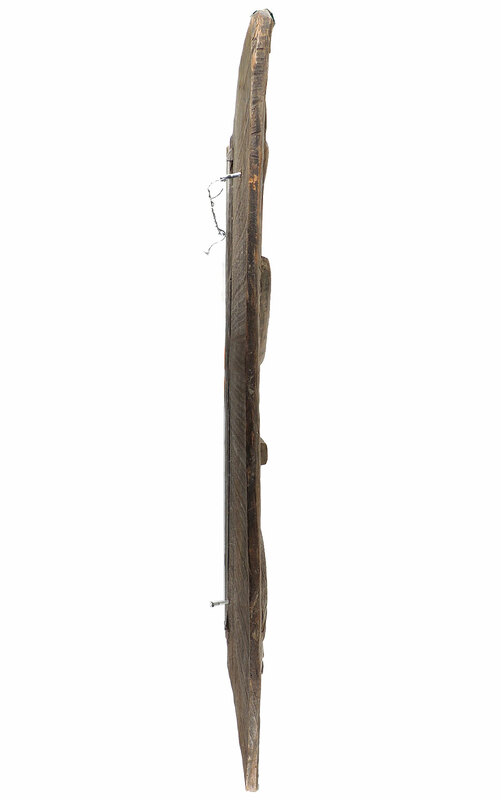 Most Dogon carvings of humans refer to primordial ancestors known as Nommo who brought humankind to earth and who were the first farmers and blacksmiths. Figures dance across the surface in reflection of Dogon celebrating the idea of life and nourishment and to honor the ancestors. Also it warned those who would steal grain or violate a shrine that the ancestors would take retribution against them. 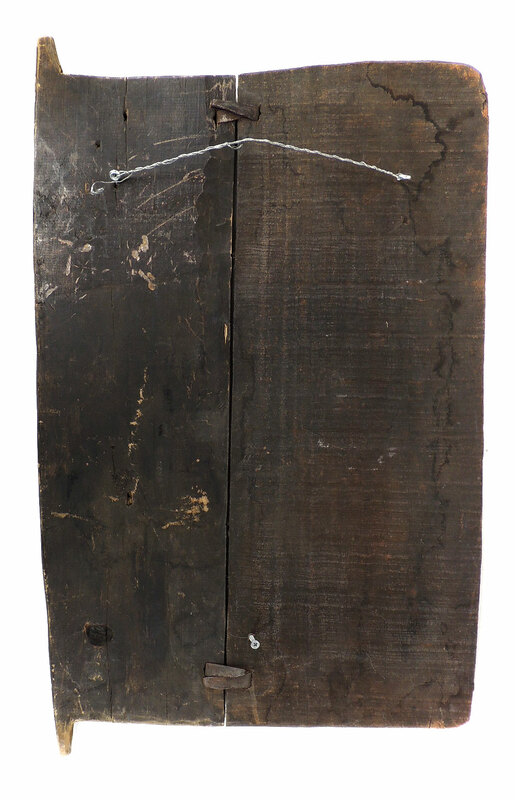 This door is composed of two panels of wood that were joined together by native made staples. 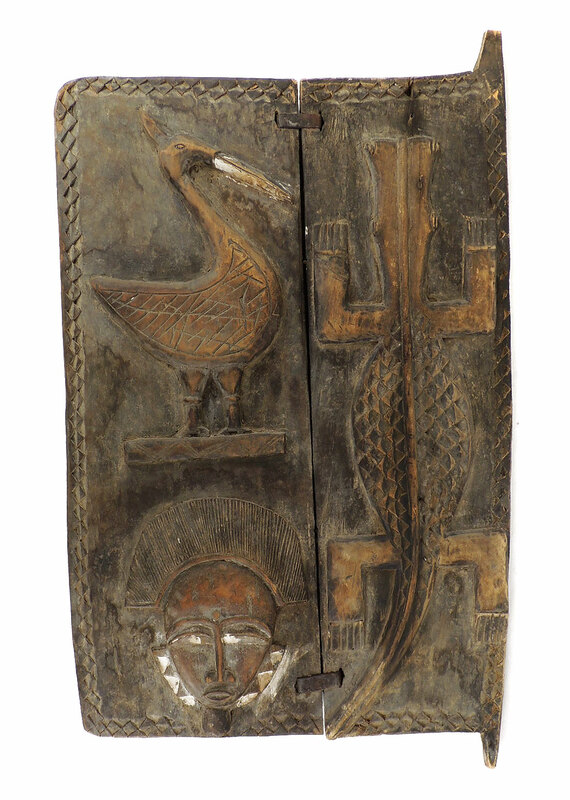 Carved doors are rare as Islam has come into the Dogon area displacing traditional beliefs and symbolism. The Dogon of present day Mali live along the Bandiagara escarpment a range of cliffs approximately 120 miles long and in places up to one thousand feet high. Living in small villages on the plain at the foot of the escarpment the Dogon farm in an environment that is marginal and demanding. As subsistence farmers they depend upon the food they produce to live storing it in granaries made of mud with thatched roofs and carved doors providing access to the foodstuffs held in the granary. Numerous granaries attest not only to the need to store food but equally reflect family structures as each wife will have her own granary where personal objects as well as family shrines known as Binu are kept.Openings into the granaries and shrines were sealed by carved doors or panels. 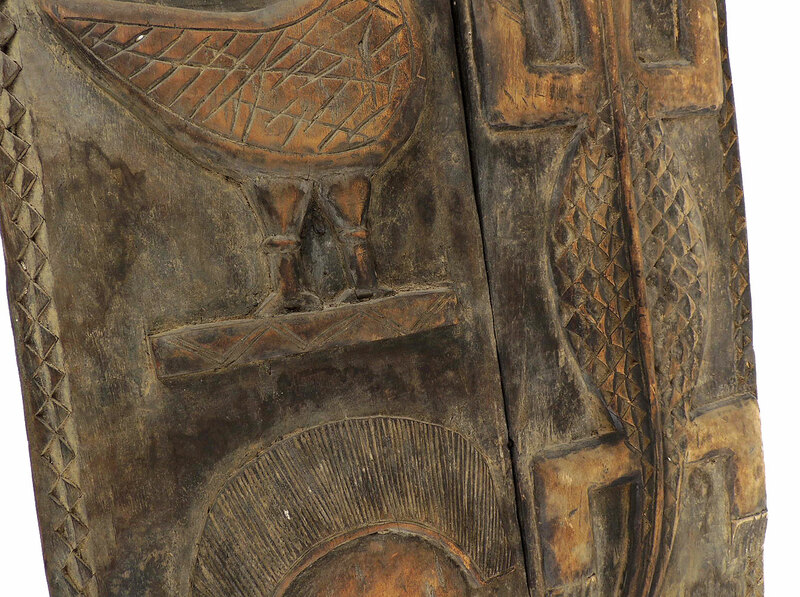 Figures of humans, animals or of symbolic motifs were carved in relief onto the surface of the door. The doors had pointed corners that served as hinges and some had a sculpted wooden lock to keep the door closed.